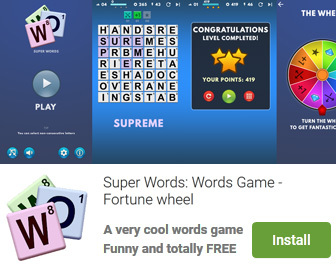 Download and play. No installation needed. 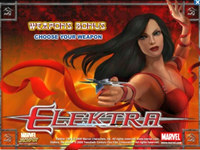 The object of elektra is to obtain winning symbol combinations by spinning the reels. To play the game: a wagering denomination (coin value) can be chosen by clicking the click to change denomination button in the lower left-hand corner of the screen. Line bets are chosen by clicking + and Below line bet to increase or decrease the amount. Paylines can be activated and their shape displayed by progressively clicking + and Below lines. Paylines can also be activated by using the numbered buttons on either side of the reels. Selecting a high payline includes all the lower ones too. For example, selecting payline 6 also activates paylines 1 through 5. Clicking bet max activates all paylines with the currently selected bet per line and spins the reels. Total bet per game round = line bet x active paylines. Clicking spin spins the reels with the current selection of lines and line bets. During the reel spins the spin button changes into stop. Clicking stop ends the spin animation and immediately displays the spin result. Wins are calculated according to the paytable. Line win = line bet x corresponding multiplier according to the paytable. Scatter win = total bet x corresponding multiplier according to the paytable. The paytable can be accessed via the info page. On a given payline, only the highest payline winning combination pays while simultaneous winnings on different paylines are added up together. In case of a winning spin, the win field displays the accumulating winnings. The win ticker can be stopped by clicking anywhere on the screen to display the total win amount immediately. Payline wins and the total win are also displayed on the strip located at the bottom of the reels or the game window. Europa Elektra is a game that works under windows xp, windows vista and windows 7. It supports both 32-bit & 64-bit windows editions, therefore it could run faster on 64-bit computers. It is Free so you can download it and share it with your friends. Estimated download time for Europa Elektra on a common adsl connection is less than a minute. Version 7.77 was released fifty three days ago by Real-3D-Games.com. Click the green download button to download it now.